Hey, how you doin’? I’m ordering new winter tires (Continentals, 155/70 R13), and I’m wondering if I could just get new wheels as well. 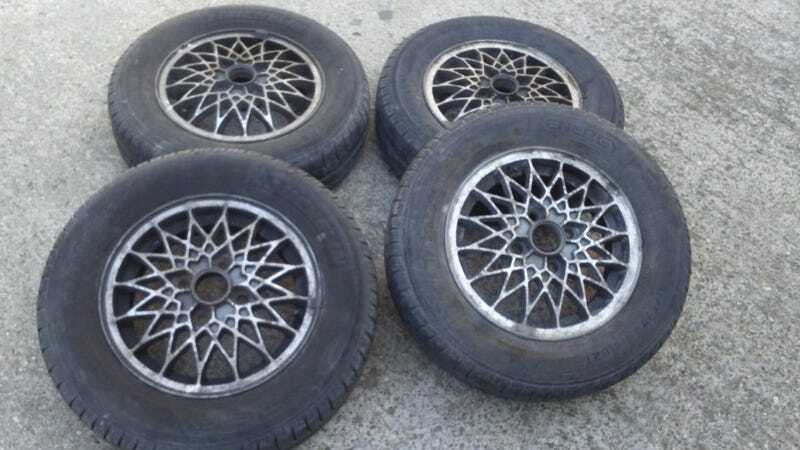 Off to my local “craigslist”, and I found these, which I love, but I’m not sure they’ll fit the Twingo. The ET39 (offset number, if I’m not mistaken) is the only one I think is off. Is it a big deal, will they fit? Is it even a close call or are these wheels wayyy off? Educate me, Oppo. I’m good with tyre sizes but I’ve never bought new wheels. Should I just call the guy and go and test them out on the car or is it a lost cause to begin with? Btw, thanks to the law here, the tire size must stay the same so I can’t change that. The tires must be 155/70 R13. P.S. If this works I’m totally Trans-Am-ing the wheels to gold/black.